Forewords (Jay Cross, Michael G. Moore). Preface and Acknowledgments (Curtis J. Bonk, Charles R. Graham). PART ONE: INTRODUCTION TO BLENDED LEARNING. 1. Blended Learning Systems: Definition, Current Trends, and Future Directions (Charles R. Graham). 2. The Blended Learning Imperative (Elliott Masie). 3. Why Blended Learning Hasn’t (Yet) Fulfilled Its Promises: Answers to Those Questions That Keep You Up at Night (Jennifer Hofmann). 4. On Designing Interaction Experiences for the Next Generation of Blended Learning (Ellen D. Wagner). PART TWO: CORPORATE BLENDED LEARNING MODELS AND PERSPECTIVES. 5. Blending Learning for Business Impact: IBM’s Case for Learning Success (Nancy J. Lewis, Peter Z. Orton). 6. A Learning Ecology Model for Blended Learning from Sun Microsystems (Mike S. Wenger, Chuck Ferguson). 7. Putting Customers First at Microsoft: Blending Learning Capabilities with Customer Needs (Lutz Ziob, Bob Mosher). 8. Transformation of Sales Skills Through Knowledge Management and Blended Learning (Alan G. Chute, J. O. David Williams, Burton W. Hancock). 9. The Cisco Networking Academy: A Model for the Study of Student Success in a Blended Learning Environment (Alan Dennis, Barbara Bichelmeyer, Dan Henry, Hasan Cakir, Ali Korkmaz, Carol Watson, JoAnne Bunnage). 10. 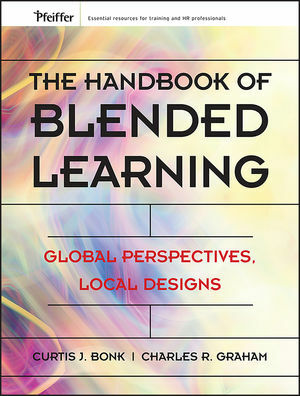 To Blend or Not to Blend: A Look at Community Development via Blended Learning Strategies (Kirsten S. Hanson, Frances A. Clem). PART THREE: HIGHER EDUCATION BLENDED LEARNING MODELS AND PERSPECTIVES. 11. Global Perspectives on Blending Learning: Insight from WebCT and Our Customers in Higher Education (Barbara Ross, Karen Gage). 12. New Zealand Examples of Blended Learning (Noeline Wright, Ross Dewstow, Mark Topping, Sue Tappenden). 13. E-College Wales, a Case Study of Blended Learning (Norah Jones). 14. Blended Learning Enters the Mainstream (Charles Dziuban, Joel Hartman, Frank Juge, Patsy Moskal, Steven Sorg). 15. Integrated Field Experiences in Online Teacher Education: A Natural Blend? (Thomas Reynolds, Cathleen Greiner). PART FOUR: FOR-PROFIT AND ONLINE UNIVERSITY PERSPECTIVES. 16. Blended Learning at the University of Phoenix (Brian Lindquist). 17. A Different Perspective on Blended Learning: Asserting the Efficacy of Online Learning at Capella University (Michael Offerman, Christopher Tassava). 18. Blended Learning Goes Totally Virtual by Design: The Case of a For-Profit, Online University (Pamela S. Pease). PART FIVE: CASES OF BLENDED LEARNING IN HIGHER EDUCATION FROM AROUND THE WORLD. 19. Blended Learning in Japan and Its Application in Liberal Arts Education (Insung Jung, Katsuaki Suzuki). 20. The Emergence of the Cyber-University and Blended Learning in Korea (Okhwa Lee, Yeonwook Im). 21. Designing Blended Learning Focused on Knowledge Category and Learning Activities: Case Studies from Beijing Normal University (Ronghuai Huang, Yueliang Zhou). 22. Open Distance Pedagogy: Developing a Learning Mix for the Open University Malaysia (Abtar Kaur, Ansary Ahmed). 23. Blending On and Off Campus: A Tale of Two Cities (Geraldine Lefoe, John G. Hedberg). 24. Blended Learning at Canadian Universities: Issues and Practices (Ronald D. Owston, D. Randy Garrison, Kathryn Cook). 25. Tecnológico de Monterrey in México: Where Technology Extends the Classroom (Alejandro Acuña Limón). 26. From Analog to Weblog: The Community College Evolution Toward Blended Learning (Paul A. Elsner). 27. Virtual TAU: The Study of a Campuswide Implementation of Blended Learning in Tel-Aviv University (Rafi Nachmias, Judith Ram, David Mioduser). 28. Management Education for the Twenty-First Century (Gilly Salmon, Naomi Lawless). 29. Blended Learning in Undergraduate Mathematics at the University of Pretoria (Ansie Harding, Johann Engelbrecht, Karen Lazenby, Irene le Roux). PART SIX: MULTINATIONAL BLENDED LEARNING PERSPECTIVES. 30. The Integration of Learning Technologies into Europe’s Education and Training Systems (Jane Massy). 31. Developing an Understanding of Blended Learning: A Personal Journey Across Africa and the Middle East (Michelle Selinger). 32. Blended E-learning in the Context of International Development: Global Perspectives, Local Design of e-Courses (Sheila Jagannathan). 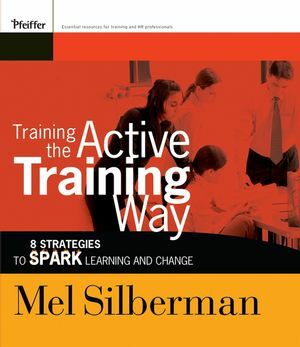 PART SEVEN: WORKPLACE, ON-DEMAND, AND AUTHENTIC LEARNING. 33. Putting Blended Learning to Work (Betty Collis). 34. Blending Learning and Work: Real-Time Work Flow Learning (Harvey Singh). 35. On-Demand Learning: How Work-Embedded Learning Is Expanding Enterprise Performance (Nancy DeViney, Nancy J. Lewis). 36. Creating Authentic Learning Environments Through Blended Learning Approaches (Ron Oliver, Jan Herrington, Thomas C. Reeves). PART EIGHT: FUTURE TRENDS IN BLENDED LEARNING. 37. Blended Learning in Military Training (Robert A. Wisher). 38. Expanding the Boundaries of Blended Learning: Transforming Learning with Mixed and Virtual Reality Technologies (Jamie Reaves Kirkley, Sonny E. Kirkley). 39. Future Directions of Blended Learning in Higher Education and Workplace Learning Settings (Curtis J. Bonk, Kyong-Jee Kim, Tingting Zeng).